At least one more Samsung Galaxy A series phone is scheduled to launch next month. The Korean manufacturer has sent out invitations to a press event happening on April 10 in three separate locations — Bangkok, Milan, and São Paulo. It’s speculated that the Samsung Galaxy A90 will be shown off on the said date, though there are rumors of the Samsung Galaxy A20 and Galaxy A40 launching alongside the premium A series handset. The company unveiled the Galaxy A10, Galaxy A30, and Galaxy A50 last month. In the Philippines, the A30 with 4GB RAM/64GB storage costs P13,990 (around $265), while the 6GB/128GB A50 is priced at P17,990 ($341). Will there be three more A-branded devices to look forward to in April? Well, the teaser posted by Samsung seems to allude to three phones standing next to each other, so we’d say it’s possible that we see three new phones announced instead of one. Needless to say, the highlight of the event is probably the Galaxy A90, which is claimed to be the first Samsung phone with a sliding, rotating mechanism for its camera. It might also sport an end-to-end screen without a notch or hole-punch cutout like the Galaxy S10 handsets. 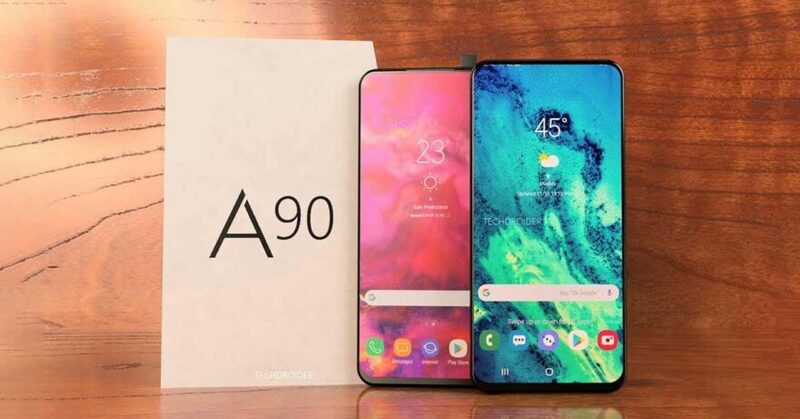 The A90 could be marketed as a gaming phone, too, as it reportedly falls under the brand’s list of “Ultimate Gaming Devices.” We could be looking at an Exynos 9810-powered unit, which is fine even if it’s not in the same league as Samsung’s current flagships. The Samsung Galaxy A90 has been confirmed to come with 6GB/8GB RAM and 128GB of storage. It will be released globally in black, gold, and silver colors. Considering Samsung’s aggressive pursuit to reclaim market share in Asia, it’s highly likely the handset will officially end up in Philippine stores sooner rather than later.